Michele de Souza started Greenlands in 1996 after teaching for 16 years. Passionate about hospitality, cooking and tourism and with a love of people, the B&B industry was a perfect fit for her. Owning a large family home in a good area, with plenty of space for parking, 15 Hosking Rd was perfect for her new venture. Michele slowly converted her home into an accommodation establish as each of her five children left to pursue their own dreams. 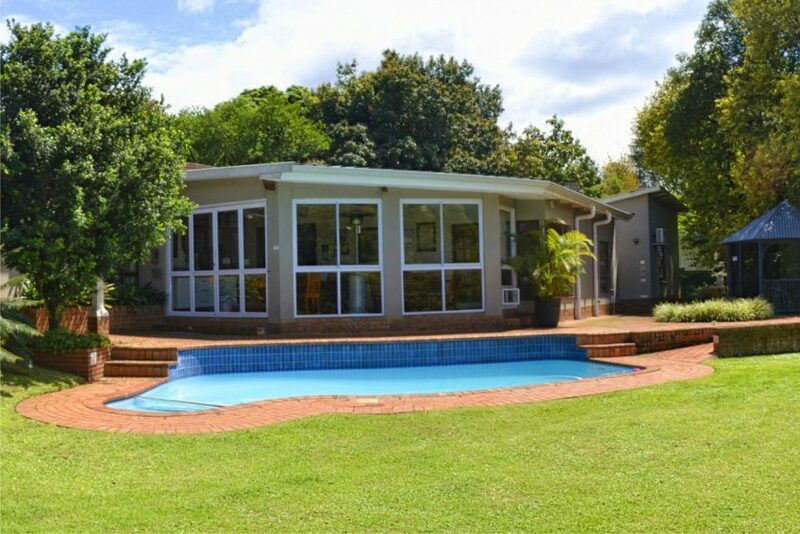 Michele immersed herself in the industry, sitting on the founding committee of Kwa-Zulu Bed and Breakfast Association in 1997 and with Des Morgan and Dave Short founded Midlands B&B Association in November 1997. She has served on the MidBABA committee as deputy-chairperson since inception, and for a brief period on Pietermaritzburg Tourism’s Exco. 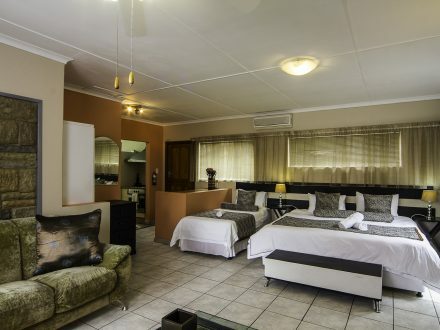 She is passionate about improving the standards of accommodation and hospitality on offer in Pietermaritzburg and surrounds and is often heard speaking on this theme at Midlands B&B Association meetings, humourously referred to as “Michele’s Musings”. Michele’s own business has flourished. 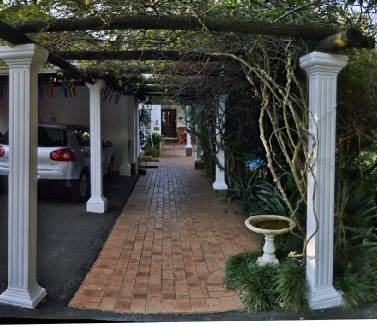 Greenlands qualified as a semi-finalist for nine consecutive years in the Accommodation Awards and as a finalist in 2010 and 2011. Graded as a 3 star establishment she insists that it comes with a four star experience! Michele feels that being graded is essential as a tool to maintain standards and to force improvements in her establishment. Having an unbiased eye cast over Greenlands keeps her on her toes. Michele attends INDABA in Durban annually, just to make sure she is keeping up with what is on offer on the tourism front in South Africa. As a result she is able to advise guests on activities available locally and nationally. In the kitchen, Michele is in charge of the cooking at Greenlands serving tasty home cooked meals at dinner (for those that have ordered it) and breakfast. Specialities are Peri-peri Chicken, Italian Lamb Stew, Durban Mutton Curry and Spicy Grilled Pork Neck Steak, to name but a few, served with healthy helpings of vegetables. Dietary requirements are catered for on request. There is a charge of R 200 for arrivals after 10.00 pm. Should payments not be settled in full, by the stipulated due date, any applicable discounts, will automatically fall away. An enquiry does not constitute a booking until the reservation has been confirmed in writing and a deposit has been paid. You will be contacted directly by the establishment with a quote and to confirm the availability of accommodation. Once you have accepted an offer for accommodation, you are irrevocably agreeing to the total quote value and these terms & conditions. The full amount is payable and no refunds are made in case of cancellation, no-show, late arrival or early departure unless the establishment is able to re-let the room. Please let us know urgently by telephone and email if you would like to cancel your reservation and we will do our best to rebook the room. A cancellation fee may apply. 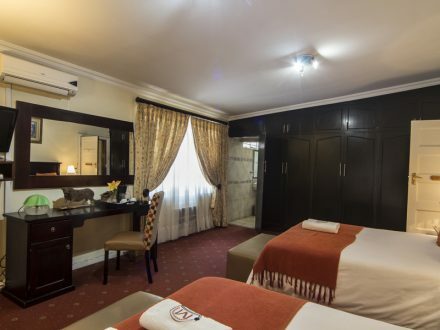 A charge of R 150 per person will be levied to your account for anyone who has not checked in, but appears to have utilised the room or facilities at any time. If you have made a single booking and wish to change it to a double please let management know. If a credit card is lodged to reserve the accommodation Greenlands reserves the right to debit the card to recover the cost of the reserved accommodation. Rates are subject to availability and seasonal fluctuations. Rates are per night on a per person basis, as indicated. Rates are for Bed and Breakfast only unless otherwise specified. Discounted rates are available for stays of longer than 10 days and are available on request and subject to availability and seasonal demand. Check in is between 3 and 6pm (later or earlier by arrangement). Checkout is by 10.30am. Please vacate your room daily by 10.30 to allow for servicing. Please request dinner (R130 pp) at least 12 hours before arrival. Dinner is served from Monday to Thursday between 7 pm and 8pm. There is only one parking bay per room. Please ensure that the door of your room is locked when you are not in the room. Please be considerate of other guests who may be sleeping. No noise or visitors permitted after 10pm without prior approval. Our rooms are strictly non-smoking and pet free. Please do not feed the monkeys or our dogs or encourage them to enter the rooms at any time. By law no person is permitted to smoke within 5 meters of a window, door or air conditioning unit. Damage done to furniture, fixtures, fittings and linen by any means including smoking, hair dye, mud or make-up will be for the guests account. Use of our facilities is at the risk of the guest. Please note that the swimming pool is open and children must be supervised at ALL times, whether swimming or not, by a responsible adult.